BACK TO BASICS … OR UPSETING MR. HEINTJES AGAIN. What with the trifecta of nicotine withdrawal, calorie counting and excess exercise, I’ve been ignoring my responsibilities to my fanatic fan base. I’ve not made myself available as the stunning font of knowledge through the regular program we (how many of me are there?) like to call “Ask The Dwo.” Okay … okay … everyone stop laughing. Now that I’ve completely bored everyone who stopped by to read about funny books, let me say this to Mr. Heintjes. Get Over It. Should I EVER listen to Marv Wolfman? My life and career have intersected with the wondrous Marv Wolfman at many points along the way. I am proud to call him my friend … or at least a friendly acquaintance. If you’re reading this Marv, the next lunch is on me. I plan to pay up really soon. I first became aware of Marv Wolfman in high school when I was reading as many Marvel Comics as I could get my hands on. Sometimes that was quite difficult. Remind me to tell the story someday soon about how I almost froze to death during high school in my pursuit of new release comics. In yesterday’s post, I wrote about how the Jack Kirby Awards were established. It was a reaction to the Comics Buyer’s Guide Fan Awards. It came from a germ of an idea from either Gary Groth or Kim Thompson at Fantagrapics Books. The goal being to establish awards based on the votes of comic professionals, ones that might be respected both within the industry and in the outside world. In November of 2000, at Mid-Ohio Con, seven comics creators gathered to celebrate the launch of Gorilla Comics. At the panel discussion all but one “gorilla” was present. The imprint was announced to be part of Image Comics. During the panel, Image publisher-at-the-time Jim Valentino played host, holding the microphone for fans as they got their questions answered. The high visibility imprint lasted less than a year, the victim of faulty financing from a dot.com entrepreneur. Who were the eight “gorilla” founders? Name your favorite second-string hero / villain. Multiple covers around the same printed comic pages. They are a little piece of hell that comic readers and collectors either tolerate or celebrate depending on the how’s and why’s of your comic buying habit. There are a number of trains of thought about the benefits or lack thereof. They do allow, under the best of circumstances, for publishers, creators and retailers to put a few extra badly needed dollars in their pockets. Love ‘em? Hate ‘em? Accept them as a tolerable but unavoidable evil? First, a quick caveat before I start assigning blame. As the publisher at Malibu Comics, I absolutely employed this marketing gimmick a number of times to “encourage” sales on behalf of the company and the creators who would also benefit from additional sales. Guilty as charged. 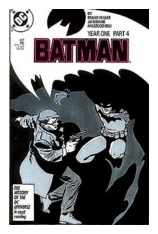 If I have my history correct (and please feel free to correct me if you feel it is necessary), the first time this “technique” was employed in comics was 1989 with the release of Batman: Legends of the Dark Knight #1. The decision to put the multiple covers on this book almost assuredly came during some kind of meeting between Bob Wayne and Bruce Bristow at DC Comics. But I don’t blame them. If you look at it under a slightly skewed kaleidoscope (like I do), Frank Miller is to blame. Yeah, that’s right, you read that correctly, I blame Frank Miller … well sort of. How is that possible? He didn’t write it or draw it. He didn’t even do the cover art. Let me explain. The circumstances were these. Legends of the Dark Knight was a Batman concept book. The idea was to get top-notch creative teams to create four-issue story arcs on a new continuing series that wasn’t tied tightly to regular Batman continuity. This would free creators to tell a wider variety of stories and also lend themselves to replicate the success of Frank Miller’s run on Batman #404-407, (better known as Batman: Year One) which became a super successful trade paperback in 1988.